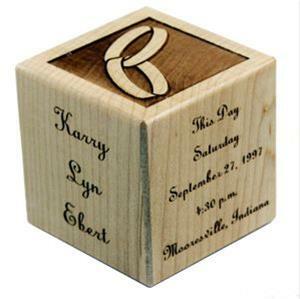 Once again personalized wedding block is my go to gift with a cute little bag and a gift card for the happy couple. Something they can display next to their favorite wedding photo, we even make a frame for that! 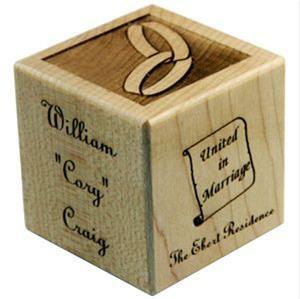 Laser engraved with the memorable fine points of the couple's union. Engraving consists of the following information: Person #1's Full Name, Person #2's Full Name, the date, time, city, state and Location (ie church name, beach, ship) of the wedding.